I've been looking into private school fees and I wonder how much these schools charged when they first open. I can understand the exorbitant fees if the kids were receiving a Harvard education but we all know they aren't really what they seem. I really like how some label themselves as "non-profit" but still charge an arm and a leg. 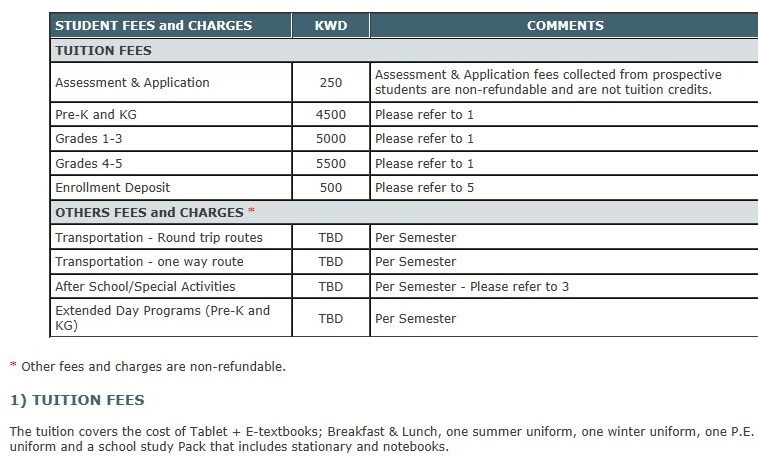 The newest school is American University School of Kuwait, if grade 4-5 is 5500 KD how much would high school be, 10,000KD? you're right it's absoletly crazy, do you have such informations for arabic school. 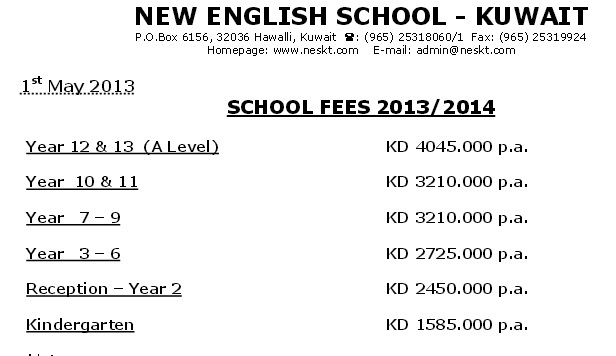 I'm new in kuwait, i didn't know yet if i will bring my childs to study here with such fees. 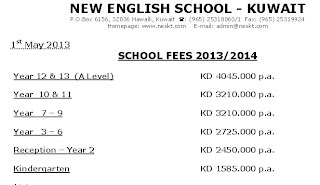 Arabic private schools are around 300 kd. but the education is so terrible. Yes, that's true. However, a majority of parents who send their children to these schools, have the fees paid by their employer. Oh how I wish I worked for one of those companies that paid for the fees instead I've paid schooling for 3 kids for 10 years. These are really sky rocketing prices!!!!! I wonder how the fees are for A.U.K.!!! We are moving now from the UK, where my kids each cost about 9 thousand pounds annually (I have three). I've just learned to accept if u take them to private schools, u pay. Yes but does the private education here compare favourably with the private education in the UK? 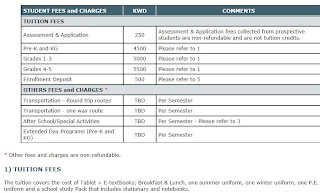 It doesn't compare....when the kids take the exams only a couple will pass...and the costs of exams is 700 kd. The parents have to put them back in school for another year and once again pay for exams.